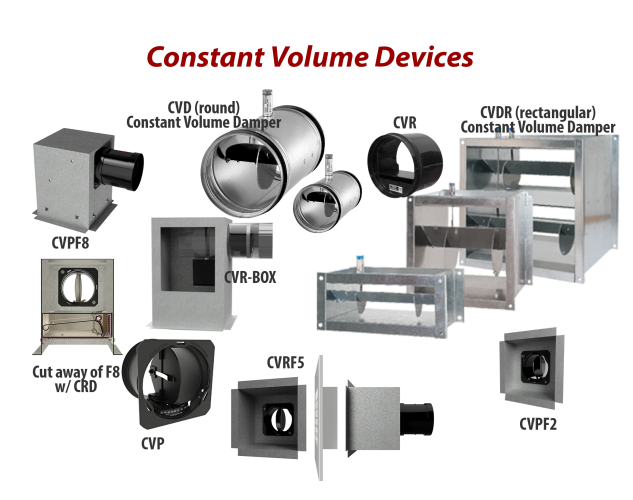 Constant Volume Devices are exciting new tools to tailor the airflow into or out of any space. These devices all react to increased velocity of airflow to move dampers toward closed restricting free area and therefore total flow. Pressure-Independent maximum flow is the goal. Conversely as pressure and therefore velocity decrease the dampers move toward open to allow more air to pass. 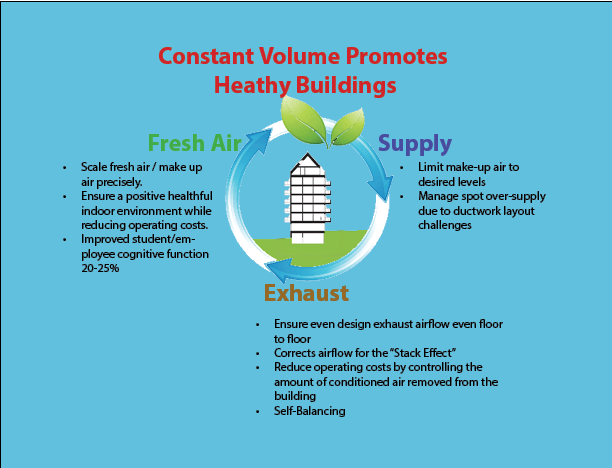 HVAC engineers use Constant Volume Devices to counter “Stack Effect” in tall buildings, evening out exhaust across multiple floors rather than pull it all from the top floors and having none left at the bottom. They are also used to ensure intake of the right amount of fresh-air. Supply duct layout challenges can also be overcome with the addition of restriction in higher pressure areas. 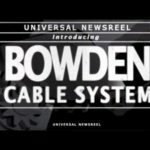 All Constant Volume Devices work in the same way. They react to an increase in air velocity (driven by higher static pressure). They close off free area reducing the volume of air that can get through the part. 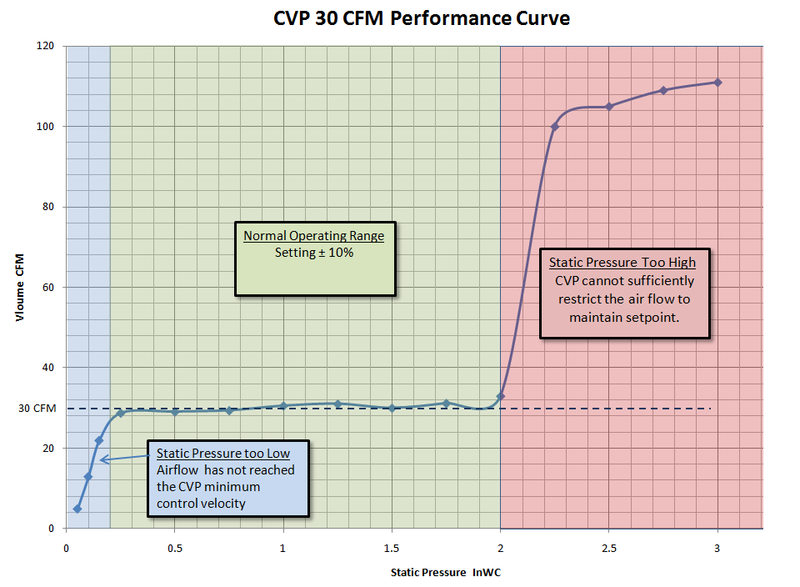 You can see that at the left side of the chart (See CVP 30 CFM Performance Curve) when static pressure is very low the part just sits there. Once the pressure reaches 0.2 InWC the part starts to react to maintain it’s 30 CFM setpoint. 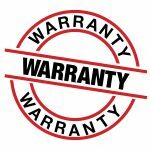 At 2InWC it ceases to be able to control airflow. It can’t restrict free area enough to hold 30CFM so the flow rises rapidly. Click on the Designer Toolbox for more CVx resources.